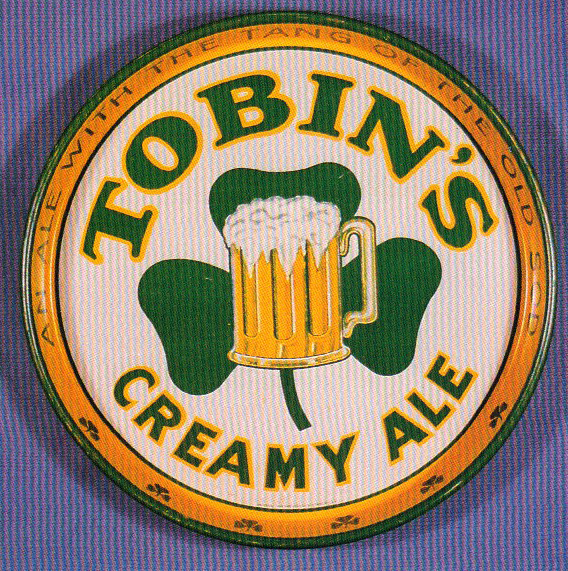 Serving Tray for Tobin’s Creamy Ale. Text around the border states “An Ale With The Tang of The Old Sod. Three leaf clovers are seen around the border and in the center.